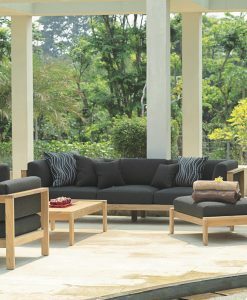 Black aluminum bringing out the rustic simplicity and expressive strength characterize this large collection that suits the living room, family room, dining and bar areas for residential and contract use. 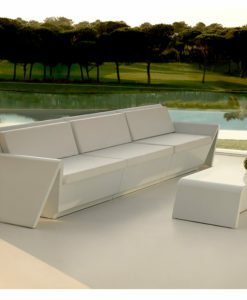 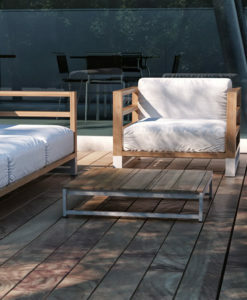 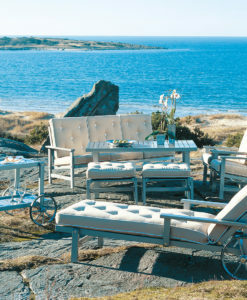 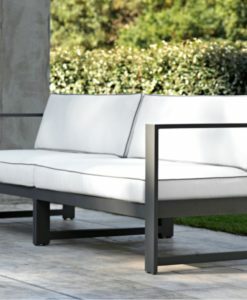 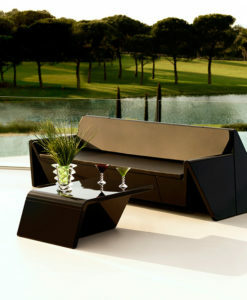 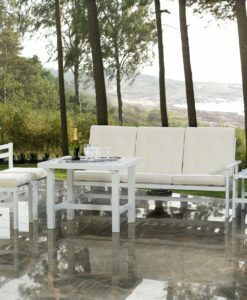 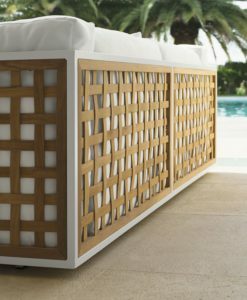 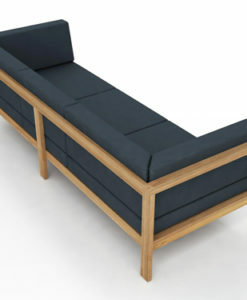 This exceptional creation in forged aluminum allows it to resist the worst outdoor conditions. 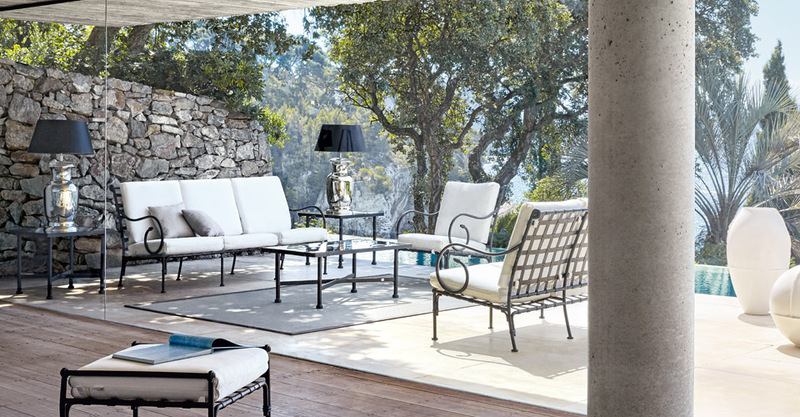 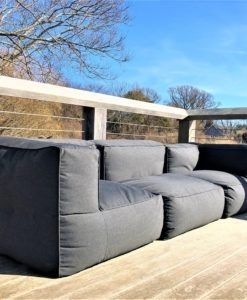 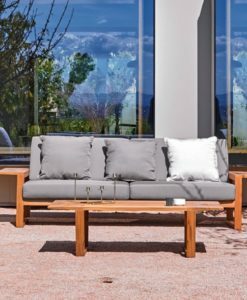 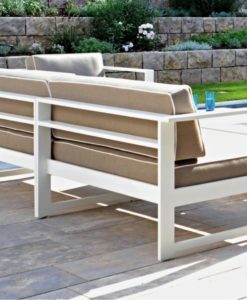 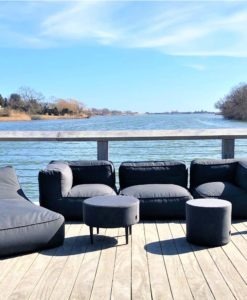 European outdoor fabric and QuickDry Foam cushions make this stunning and sophisticated collection complete with club chair, two and three seater sofa, ottoman, coffee and side tables, chaise loungers, bar and dining sets! 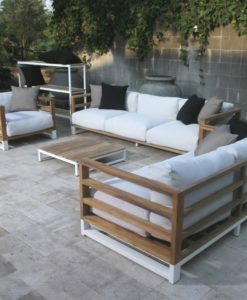 So sit down, have some coffee because you and your friends will not want to get up from your seat.